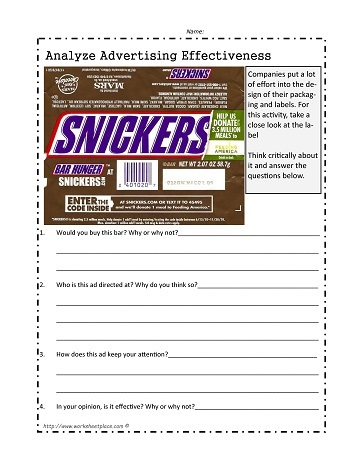 Use your critical thinking skills to analyze the media ad. What is the message of the ad? Who is the intended audience? Use this worksheet to enhance your media awareness and critical thinking skills. Media literacy worksheets and printables.